Happy Tuesday everyone! 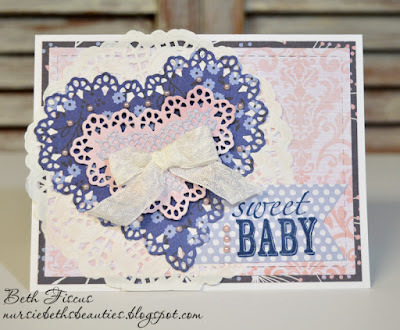 Today I am sharing a card that features the GMD Lattice Heart dies. 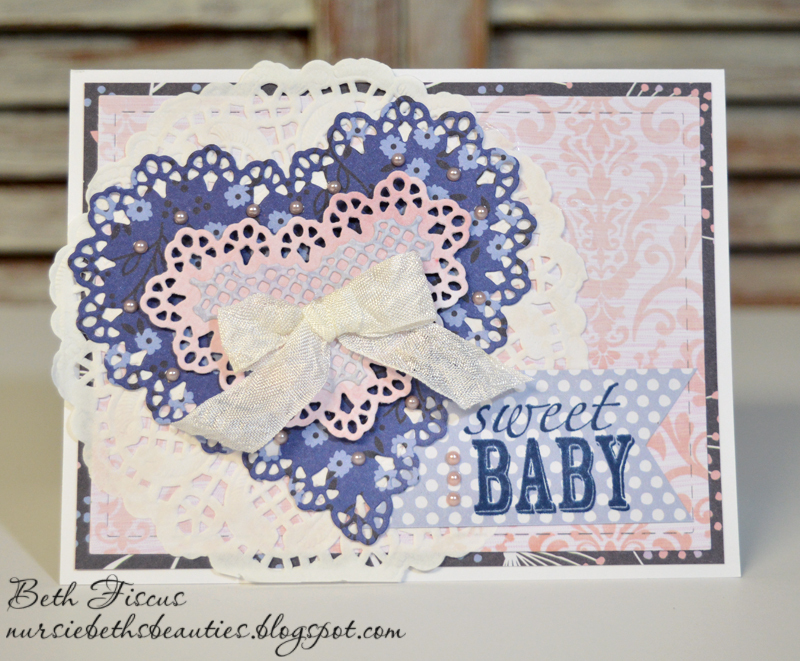 When I saw those, I knew they would make a lovely baby card! I used pattterned papers from DCWV's Peri & Peach stack. I added a white paper doily behind the die cuts. 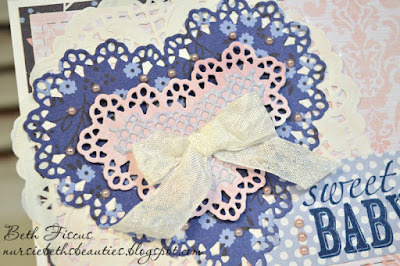 The accents on this card were GMD Soft Pink pearls and white crinkle ribbon. I used GMD Stitched Rectangle Dies for the background paper. 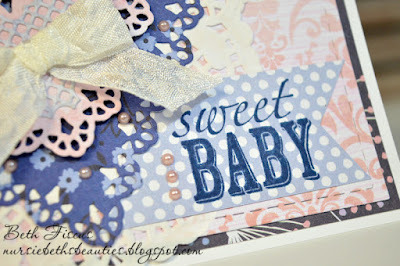 The sentiment was stamped in a dark blue ink and accented with three soft pink pearls. Such a sweet card! Gorgeous color combination too! I love that it's gender neutral, it's great to have a few of these on hand!